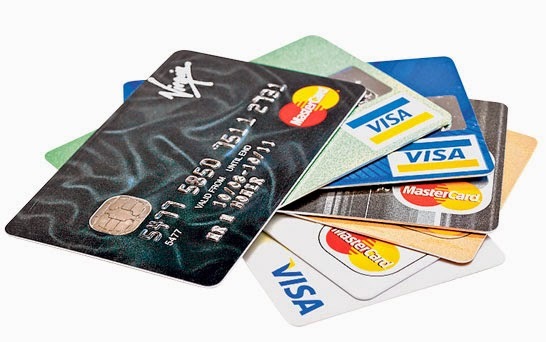 Credit Card also known as Plastic money has its own advantages and disadvantages. It's advantages and disadvantages, Features, Processing fees may differ from Bank to Bank & Card to Card. Below are the few ground rules you should take care of if you are applying for credit card and do not want it to get REJECTED & also few precautions which you should take if you already have credit card and wish to apply for other credit cards as well! => You can visit Bank websites of Citibank, HDFC, Standard Chartered, ICICI, Axis Bank or any bank which you wish to apply the credit card, enter few details about your self and the website will let you the cards which you are eligible for. => Depending upon the eligibility and your requirement choose the credit cards which you can afford and which can be of your use in terms of offers and deals on the card. 2. How to apply for the Card? => Never, Mind YOU Never apply for Credit Card via Tele Callers, who call you and say that since you work in so and so company you are offered a free credit card with hell lot of features. Generally, In most cases more than 98% cases those telle callers commit any thing to you just as they have target to complete. => If you wish to apply for credit card, then always apply from Bank's Website or via Representative at your office premises or at any mall/public premises who hold respective banks ID card. => Wherever from you are applying for credit card, do read about its Joining Fees, Processing fees (if any) , duration of processing fees ( Annually, One time ) and also make sure that the same is mentioned on the application form which you sign and give to the representative. 3. Which Card to Apply First? => One of the most important thing and those who have already applied many times and have got their credit card application denied without giving any reason puzzled that why the application got rejected. => Banks generally check the CIBIL score before issuing credit card to customers. Now those who have never taken any loan or didn't had any credit card won't have CIBIL score available and thus for no reason your application gets rejected even thought you are fully eligible for the card. => Now Since you haven't take any loan you did not have any CIBIL score, to generate CIBIL score you should have a credit card so that CIBIL score gets generated. Confused what to do in such a deadlock condition? =>Apply for Credit Card of Bank in which you have your salary account. Before applying make sure that atleast your salary account is 3-4 months old. If your salary is properly getting crediting in your salary account then there are very good chances of you getting a credit card from that bank. You can also visit creditcards.com to help you find best credit card as per your need. => DO NOT APPLY for more than one credit card at a time. Applying for more than one credit card can let both or all the application being rejected. => If your credit card application gets rejected for whatsoever reason, DO NOT RE-APPLY before 3-4 Months. RE-APPLY only after 3-4 months, better will be if you apply after 6 Months then there will be strong chances of getting your application accepted. =>Do Not default any payment, Because it adversely affects your CIBIL score which will haunt you whenever you apply for new credit card or apply for loan. Some of the best advantages of having credit card is getting awsome discounts on Movie Tickets, Flight tickets, 10%-25% discounts on Electronics & various other products and appliances online & offline as well on SuperMarket & Retail Stores such as Chroma, Vijay Sales, Reliance Digital. Having credit card helps you to get products on EMI, thus making it easier for you to buys your choice Mobile, TV, etc.. and paying them in easy installments of 3,6,9,12. You can also apply for Citi Bank Rewards Card. It has a processing fees of 1000rs per years, but it gets waived off if you do total shopping of 30,000Rs per year. If you have any issues share it with us, will definitely try to help! 11 comments to '' First Timers Guide on Applying for Credit Card "
excellent information. Are you interested to apply credit card. Are you confused which credit card suites for you. Compare best credit card online. Do you want to apply credit card also, Visit FinBucket and get credit card within 24 hours with easy documentation. Get complete knowledge on Trade Bitcoin portal.